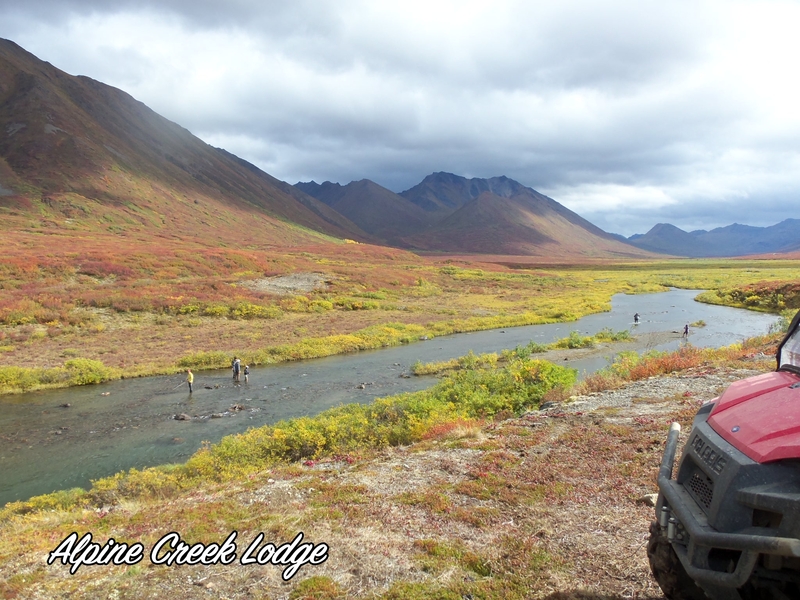 Fill Your Days at the lodge with guided adventures! 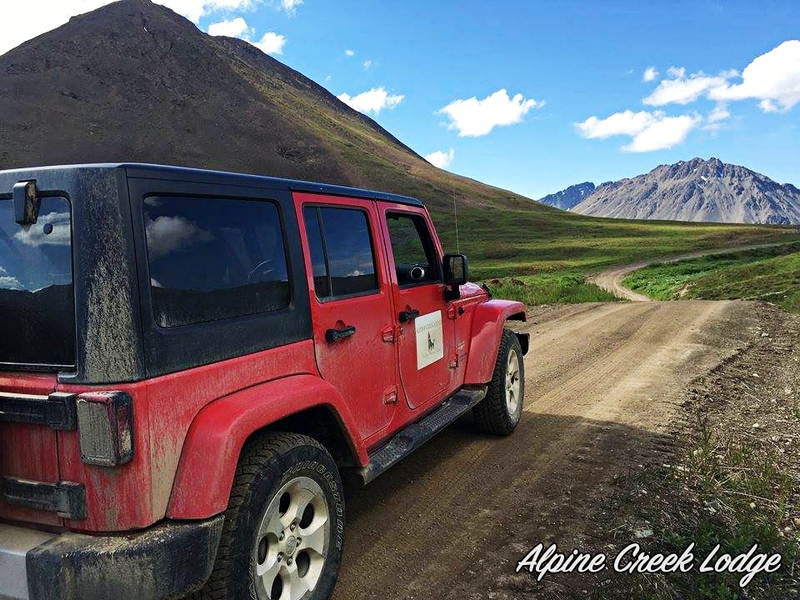 Alpine Creek Lodge specializes in custom Jeep/Hummer tours! Your tour is in Jeeps or Hummers that fit 4 people in each with a Private Guide. While out on these adventures you will be taken to some beautiful remote places and will do some exploring in old glacier valleys. 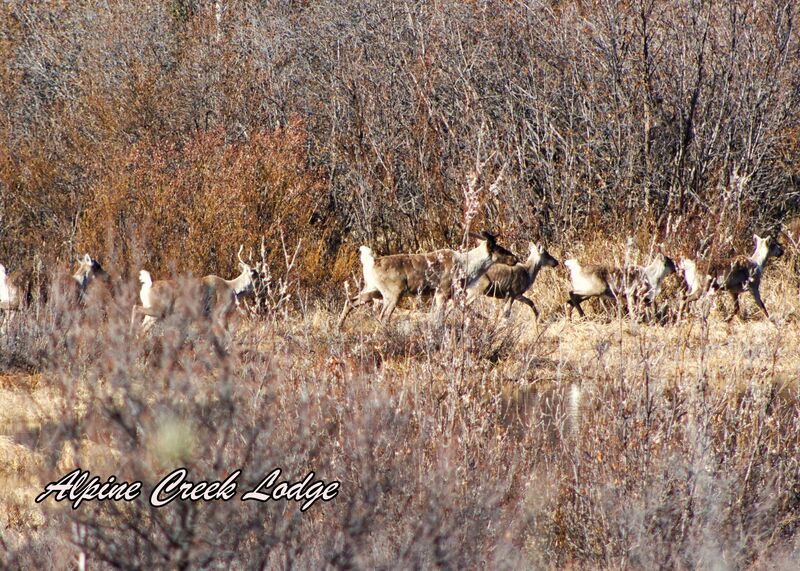 While out we can spot some of the Nelchina caribou herd. This herd runs around 45,000 animals. We have been lucky enough to even see wolves chasing the herd while out in these valleys. Many other animals have been seen on our tours include moose, and bears. Along with finding and viewing wildlife, we can try our luck at panning for gold, hiking and even fishing! Make sure you bring your cameras to bring home the memories of enjoying a day on the trails without ever seeing another person! All gear needed for fishing and gold panning will be provided during the tours. Bring your camera to capture the beauty Alaska holds!! Hiking Tours in the Beautiful Clearwater Mountains! Rate: $35.00 per person per hour. You pick the trail and the number of hours you would like to hike!